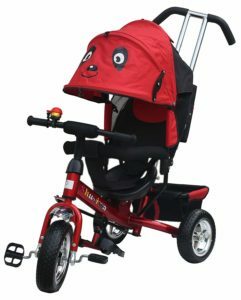 In this article, I will be reviewing tricycles/trikes, balance bikes & best bicycles for kids in India. The objective is to make a comprehensive guide on how to select the cycle for your child. This guide should also help you select the ideal cycle for your kid as per his/her age and requirements. Riding a cycle is one of the healthiest forms of exercise for your kids. Riding at a young age helps them build their motoring skills. Skills required for coordination and balance. Cycling also helps them build up strong muscles. Children who spend time cycling during the day also tend to sleep well at night. 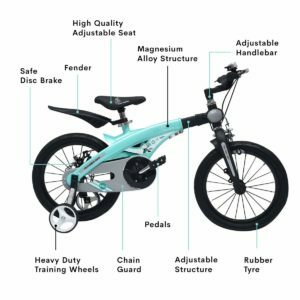 How to select the right bicycle for kids in India? A lot of parents have this question. 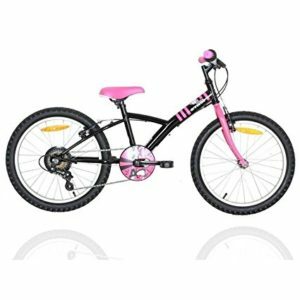 It is important for you to find the best bicycle for your kid. However, there is no easy answer available on the internet. So I have made this table which should work fine for most parents. Note – This is a rough estimate to give you an idea of cycle size. Select the size as per the height of your kid. You can also refer to the table below for some more idea about what size works best for your child. p.s. – Don’t forget to look at the recommended bicycles in each category in the article below. I have covered bicycles for both girl child and boys in this review. What Size Bicycle to Buy for Kids in India? 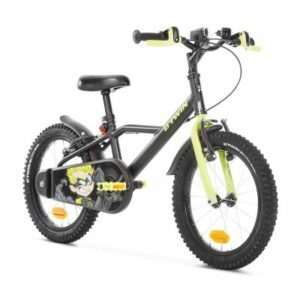 Which are the Best Bicycles for Kids in India? 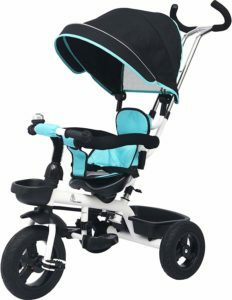 If you have a baby who has just started to walk and wish to buy a cycle for him/her, a tricycle would be a good option for you. 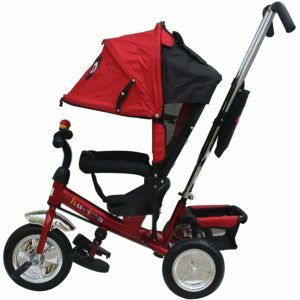 Trikes are also a good bet if you wish to gift it someone (Baby’s first birthday etc). Since your baby would be still figuring out how to balance, you will need to buy a good product that has some safety features in it. 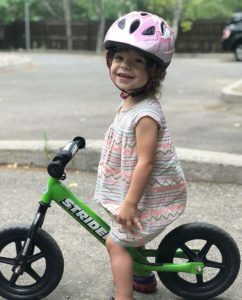 I personally recommend buying a Balance Bike instead of Tricycles (For recommendation of the best balance bike, scroll below the tricycle section). As the name suggests, these bikes help your baby learn to balance the bicycle first. They can then easily learn how to pedal after that. Tricycle teach them the other way round. Safety features. Since the baby might not be able to balance properly. Push handlebar with direction control. So I can take my baby out on his/her new toy for a ride. Options to remove the safety features and handlebars. This is useful when your kid grows up and is able to ride on his/her own. Any other features (Not required but good to have). R for Rabbit has quickly become the go-to Indian brand for kid’s products in India. The products are really good quality and offer an amazing value for the money that you pay for it. R for Rabbit also offer a more premium version of the Tricycle called the Tiny Toes Benz. Similarly, they also offer a cheaper version of this model called the Tiny Toes Grand. You can choose the one that suits your requirements and budget. Comes with a simple seat belt that goes around the baby. If you wish a better (5 point harness) seat belt, you can opt for the “Benz” version of this product. Has a safety bar. This bar can also be utilized by your baby to hold on to. Comfortable push bar with direction control. You may not find the name of the product really appetizing but the product is good. This product is available in two distinct colour (Blue and Red) at the time of writing this review. In this age group, you can opt for the balance bike. This product can easily keep your child entertained till the time they are about 4 to 5 years old. After that, they are ready to move on to a real bicycle with pedals. This transition would be really easy for them as they already know to keep your balance on the cycle. Mostly, you won’t require trainer wheels for the new bicycle that you buy. 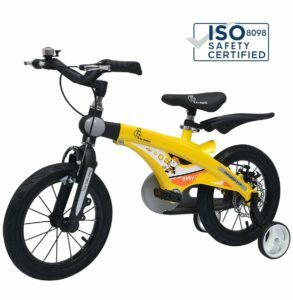 This is the best balance bike in India that you can buy for your toddler. Although a bit on the expensive side. So if you can afford or wish to buy an expensive ride for your baby, this is the best product out on the market. 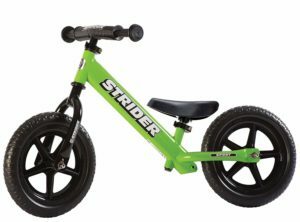 Strider is the best selling balance bike globally. They have only recently entered the Indian market. 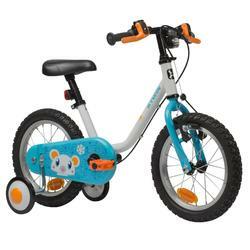 This balance bike can be used by the child till they grow to be around 4/5 years old. You can buy a good bicycle post that. Kids can start riding this bike as early as when they become 18 months old. The seat can be adjusted so low that kids can easily sit and walk using this balance bike, to begin with. The handlebars can be adjusted to your baby’s height as well. The bike is very lightweight and you can easily carry it with you in your car. If Strider is beyond your budget, for now, you can opt for the Brilrider. 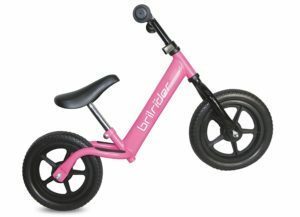 It is a well-made balance bike and has some good feature similar to what the Strider has. If you are sports enthusiasts you would have heard about Btwin and Decathlon. Decathlon operates a chain of stores across Indian and product cost effective buy good quality sporting goods. Btwin is the name of their bicycle brand. They make bicycles for both children as well as adults. 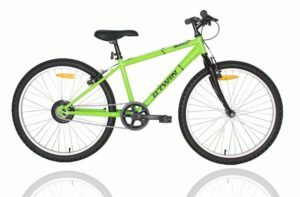 Do Check out – Best Btwin Cycles for Adults. DarkHero is slightly bigger compared to Artic100. If Decathlon does not service your location or if you wish to buy something from the trusted Amazon platform, this is the right product for you. The product is available in two different colours. I personally like the yellow variation better compared to the blue one shown below. Made using an alloy frame. This makes the bicycle lighter compared to other brands. Has adjustable handlebars and seat. Good quality trainer wheel. They can be removed once the child is confident about riding the cycle on his/her own. However, if you are looking for a more cost-effective bicycle, you can opt for the Atlas Kinder. This is a basic bicycle but will fulfil your kid’s requirements for now. This can also be used by both boys as well as girls. This bicycle is available in two colour variations. You can use the link above the check the latest price, user reviews and the colours. Now we have reached the tricky age groups. It gets more difficult to buy bicycles for these age group since the growth of each child is unique. You will have to take a judgment call on the size of the bicycle. However, I always prefer to go for the slightly bigger option (Typical Indian mentality). 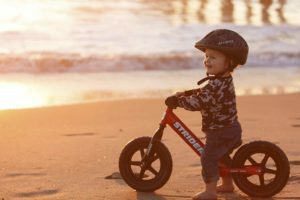 This ensures that even if the child might not be able to enjoy it to the fullest for a few days, the bicycle will be useful when the kid grows taller in a few months time. If you think 20 Inch will be too big a bicycle for your kid, you can opt for the 16 or an 18 Inch tyre cycle. Tiny Toes Jazz has a slightly bigger 16T model as well. 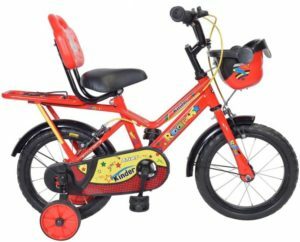 You can opt for this bicycle if your boy/girl is around 6 years old already. It is available online on Amazon India. The features of the bicycle are exactly the same as the 14T model described above. Use the link below to check out the latest price and availability at your pincode. The benefit of buying from Decathlon is that you won’t have to worry about the quality of the bicycle. All their bikes that I have ridden are really well made (considering the money you pay for them) and durable. 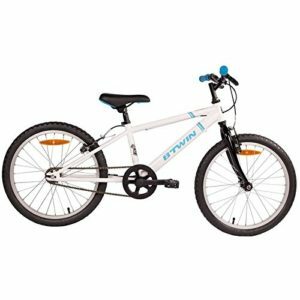 Btwin Racing Boy 300/320 is a really good option for boys in the age group of 6 to 8 years of age. As with Boys, Btwin also has a product specifically made for girls. This product is called as MistiGirl. There are two variations available in this product, 300 & 320. 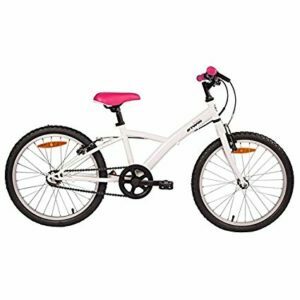 The frame of the bicycle has been specially designed for girls so that it is easy for them to get up and down on the cycle. MistiGirl 300 comes in white colour while the 320 has a better looking black and pink colour to it. If you are looking for a slightly bigger cycle, I recommend buying the BSA Champ Rocket. It comes with bigger 20 Inch tyres. The bicycle looks really cool and modern. The kids would surely love the looks of this bicycle. Comes with a BMX style handlebar. 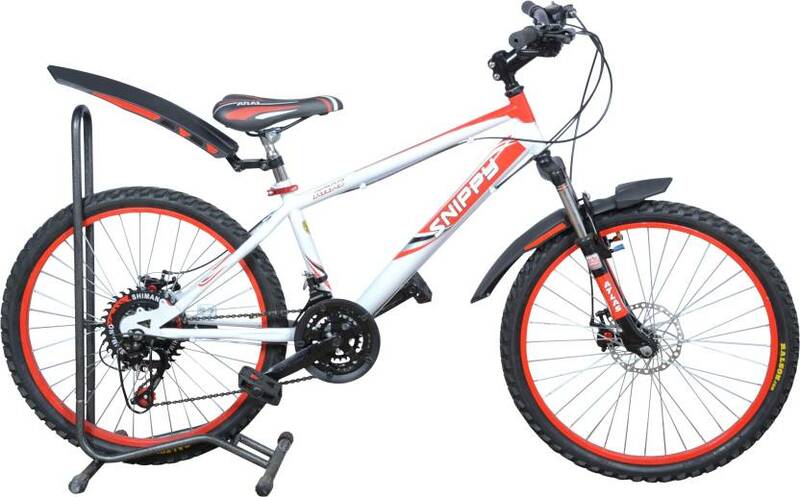 The adds to the looks of the bicycle and also keep the ride comfortable for your child. Comes with a foam pad on the frame. Helps make the bicycle look “cool” as well as prevents and unwanted injury. The frame and seat come in nice colour combination and graphics. The bicycle has trainer wheels & a carrier. In this category, I think this is the best bicycle you can buy for your child. 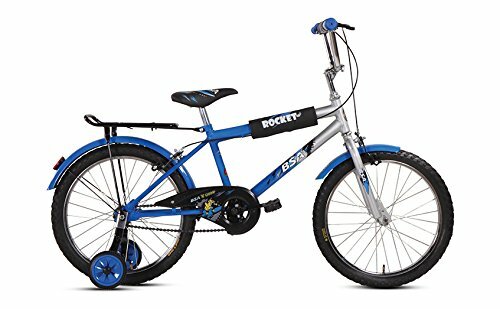 This product is a junior version by Btwin Cycle of their RockRider series for adults. RockRider Junior is also available in two different variations. RockRider Jr. 100 & 300. 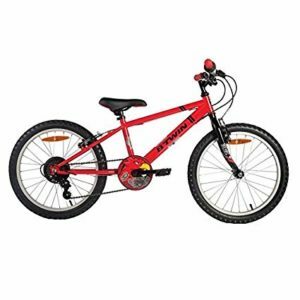 This is a mountain bike and most kids love the big tyres that these bicycles come with. The main difference between the two bikes is the colour combination available, amount of gears on the cycle and the price. Even though I do not recommend buying a bicycle with shock absorber, kids may want it. 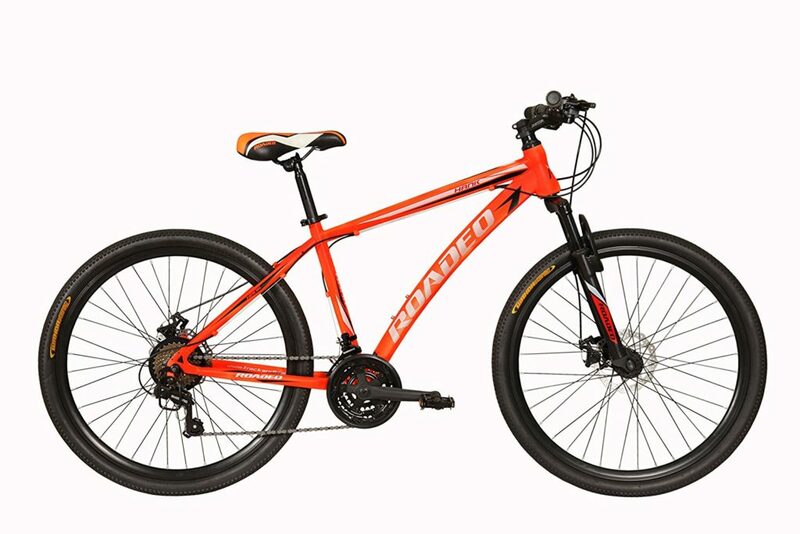 If your child wants a fully loaded bicycle that is also very sporty looking, look no further. Combination of white and orange make the bicycle look really good. The rims are painted orange too. Kids love such sporty colour combinations. p.s.- The stand shown in the picture is not included with the bicycle. So do keep this in mind while placing your order. The bicycle is equipped with 21-speed gears with thumb shifters. Comes with disc brakes on both front and rear wheels. The bike has a front suspension. 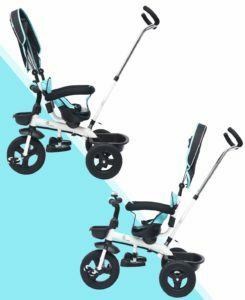 The cycle comes with stylish fenders on the back as well as front wheels. If you wish to buy a low maintenance cycle, you can opt for this one by Kross. This bicycle does not have any suspensions or gears. This reduces the chances the bike breaking down or needing expensive repair work. A plain vanilla cycle that does the job cost-effectively. 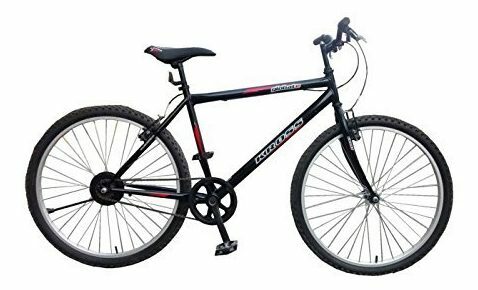 Hercules Roadeo is one of the top brands of bicycles in India. As I said earlier, kids love MTBs and Roadeo has some amazing designs to offer. The most important bit that parents need to understand that each child has his/her own learning cycle. So please do not force(motivate as you would call it 🙂 ) to cycle. A few kids pick it up early, a few kids might not cycle until they are 4. 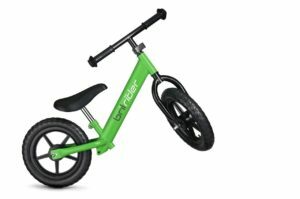 The second tip that I can give parents is that they should first buy a Balance bike (Check out the Brilrider from the link above). Balance bikes do not have pedals and kids are supposed to push them with their feet. This helps them slowly start balancing themselves. They tend to start going faster on these bikes in a matter of days. Check out a video on how a balance bike can help your kid ride a bicycle. Generally, the balance bikes (also the good ones available in India) do not have brakes. The kids will learn to brake using their feet. 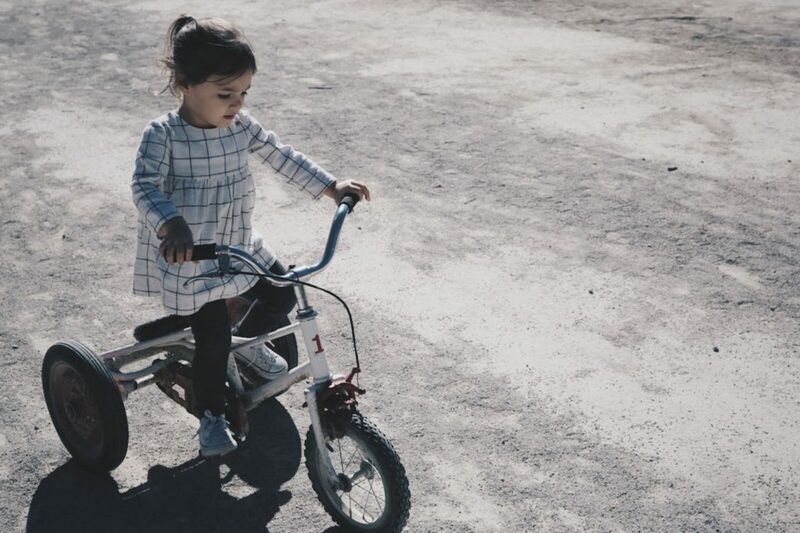 Once your kid has mastered and outgrown the balance bike, you can go for the pedal bike. It will be much easier for them to start riding this new bicycle with the pedal as they already know how to balance themselves. I am not a big fan of the trainer wheels as kids tend to start using them to coast or rest upon. This means they take time to master their balance on the bicycle. You can watch the video below for how to teach your kids to ride a pedal bicycle. I am a big supporter of teaching kids the right things from the very beginning. I believe you should always encourage them to wear proper protective gear before cycling (Or playing any outdoor sport/activity for that matter). Buying them a right helmet and teaching them to wear it every time they ride their bike is very important. 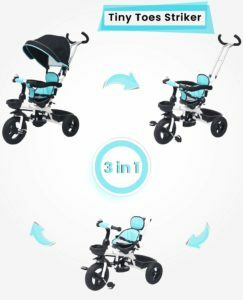 I hope this guide has given some help you buy the best cycle for your child. Do let me know your feedback in the comments below. Also, do share if there are any additional points that you would like to be covered in this guide. I will try my best to them included. Thanks for sharing this info. Just what I was looking for. I’m unable to decide between Dark Hero and RforRabbit (14T) for my 3-year old son – which one would you recommend? If you are planning to buy online, go for R for Rabbit. Amazon does provide a good service. BicycleXP is a website run by a group of Amateur but passionate cyclists from India. bXP aims to be the destination for all like-minded cyclist to come and discuss their passion. Copyright © 2019 bicycleXP | Proudly Made in India | Bard Theme by WP Royal.